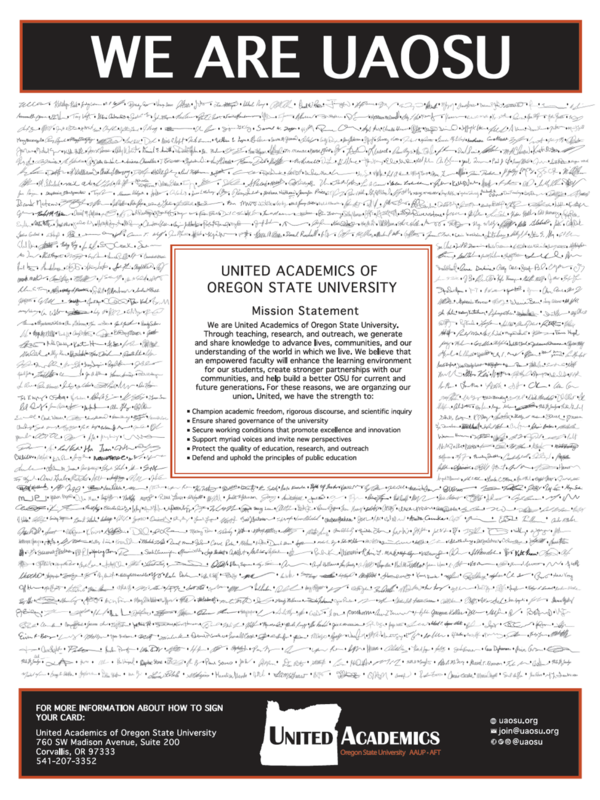 Come observe UAOSU’s morning bargaining session with university administration on April 30. The bargaining session will be 9am – 1pm. Room location TBD. Plan to attend as much of the session as you can. Planned proposals covered in this session are notice of appointment, annual reviews, and more.